Amidst all of the criticism aimed at many of the top Android manufacturers surrounding software updates, there is one company that has been pretty much on point since day one and that’s Asus. Whether it be minor bug-fixes or the roll out of Android 4.0, Asus has been consistently prompt and hassle free. Perhaps it’s the impressive dedication to timely updates that scored Asus the gig as manufacturer of the first official Nexus tablet. Now what are you waiting for, fire up your Transformer and hit that ‘check now’ button as the update is already rolling out. Let us know your thoughts on the latest update in the comments below. 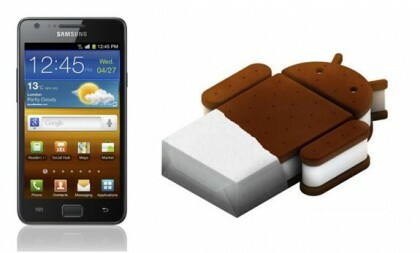 Samsung Shares Which Devices Will Receive Android 4.0 In The U.S.
“We are in close communication with T-Mobile to ensure that eligible devices are upgraded to Android 4.0 Ice Cream Sandwich in the coming months and will provide updates as we have additional details to share”. So there you have it folks. Be sure to keep in mind that Sammy stops just short of saying when exactly the updates will arrive for the devices, so it may be a while before it becomes a reality. Let’s just hope it’s not too much longer of a wait before we see updated software to those devices. Like a wayward step child, the unlocked Galaxy S II will start to join its cousins in regards to receiving Android 4.0. In what seemed like a forgetful device, Sammy, in typical Sammy fashion, is a little late to the game but nevertheless here. 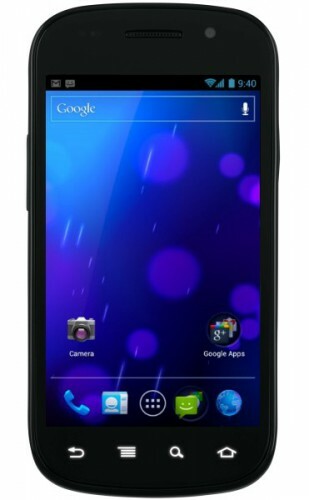 The company has confirmed and has actually already begun pushing ICS 4.0 to the best selling handset as I write. Like O2, Vodafone and other carriers, the GSII will begin joining the club of 4.0′ers with the slightly tweaked addition of Samsung’s TouchWiz overlay. And of course, we weren’t expecting this to be a typical Android fashioned OTA update. So get your Favorite Samsung KIES app ready (sarcasm mine) because that’s the only way you’ll be pushing this to your device, sorry folks. Following carrier testing, T-Mobile UK and Orange should be joining the party. Timing couldn’t have been any closer as Samsung will most likely be unveiling the Galaxy S III with ICS on-board in London on May 3rd, of which our very own Chris Stewart will be in attendance to cover the whole event. Feel free to let us know what you think in the comments below. “This is meant to be used by people who built and flashed their own custom version of AOSP and wish to return to the factory state. If you’re currently running an official retail build, I simply recommend that you wait for the OTA”. In summary folks: the factory image is meant for those who well you know… fiddled or tinkered with their device by adding a custom ROM for example– and want to flash their device back to its stock state. If you’re on stock Android now, you’re probably better off waiting for the actual OTA update instead of flashing your device to the latest build. When attempting to flash the factory image to the Nexus S 4G, please be aware that there’s a known bug in the bootloader, you’ll have to boot into whatever version of Android is on your device, and then return to fastboot and restart the flashing sequence.